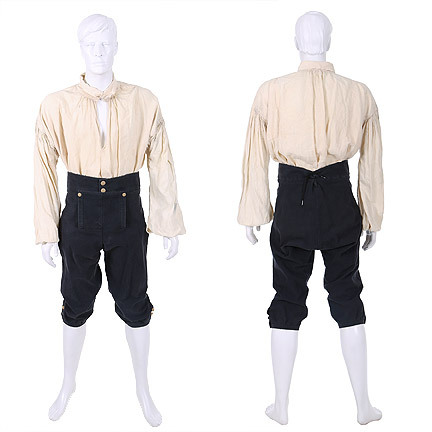 This 1800’s British Naval costume was worn by the character “Dr. 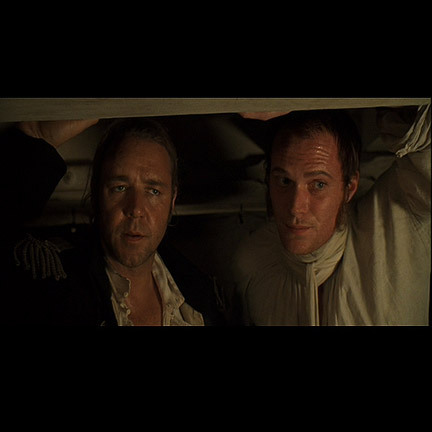 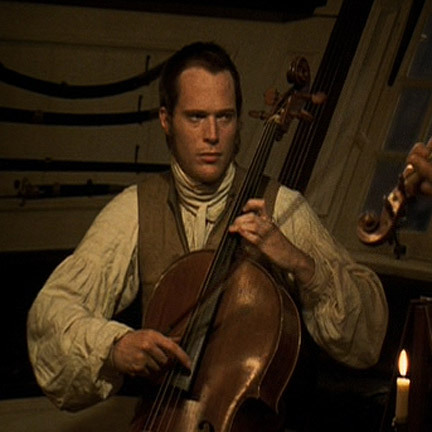 Stephen Maturin” portrayed by actor Paul Bettany in the 2003 motion picture “Master and Commander: The Far Side of the World” directed by Peter Weir. 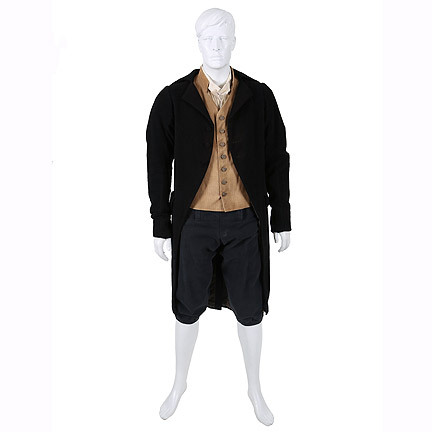 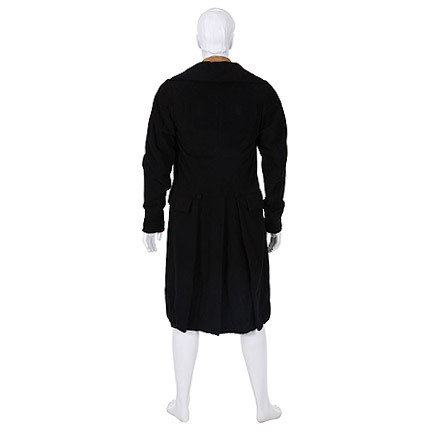 The period outfit consists of a black wool frock coat, white shirt with full sleeves, cuffs, and stand collar, button front cream waistcoat with straps in the back, and a pair of navy blue knee length breeches. 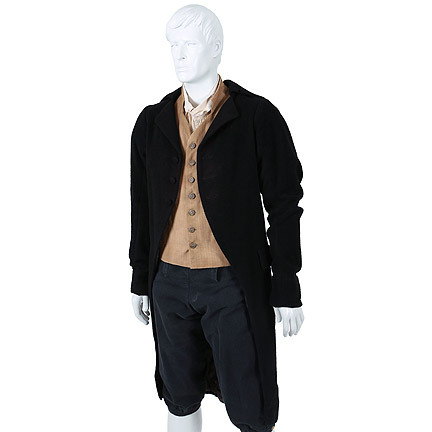 The garments were all custom made for the actor’s use on the production. 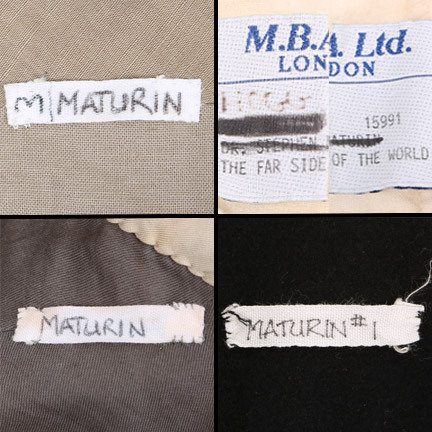 The interior of the shirt has the M.B.A. Ltd. of London tailoring tags reading “Dr. 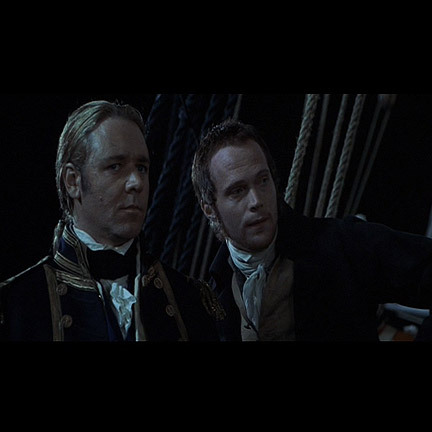 Stephen Maturin” (crossed out with black marker) and the film’s secondary title “The Far Side of the World”. 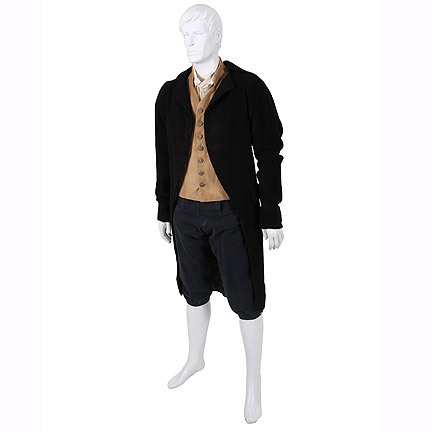 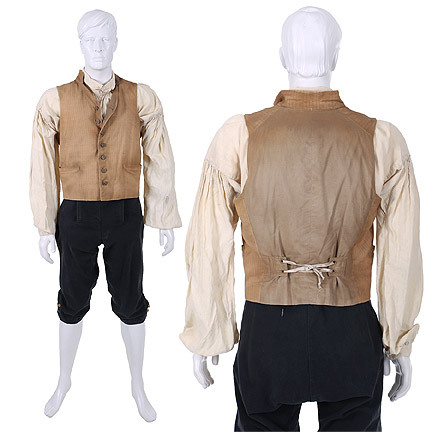 The vest, coat and pant have internal costumer’s labels with the character name “Maturin” handwritten in black ink. 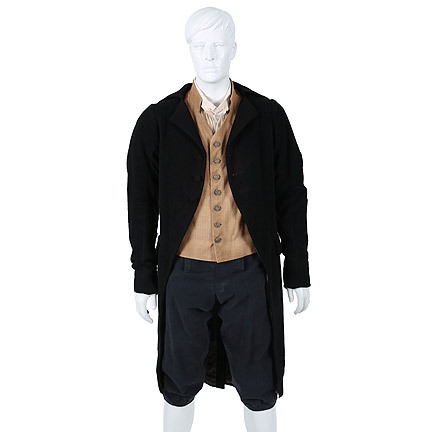 All garments are in good screen worn condition.